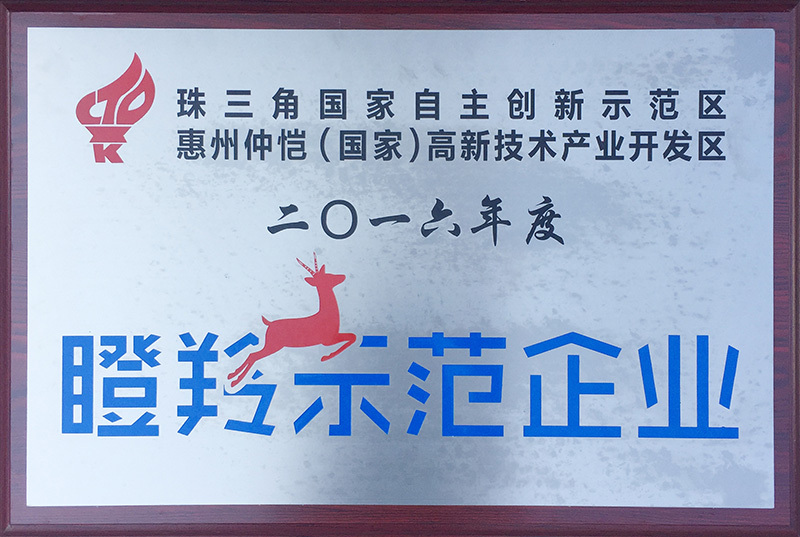 On December 29, “Gazelle Enterprise Commendation Conference” , which was convened in the conference hall of Fitech Building, was organized by the Science and Technology Bureau of Huizhou Zhongkai High-tech Zone to commend the enterprises characterized by “rapid growth, excellent economic benefits, strong innovation capability and great development potential”. KTC Huizhou, as one “Gazelle Model Enterprise” representative, attended the conference and received the award. To speed up construction of the national high-tech zone, Zhongkai High-tech Zone screens out a team of Gazelle enterprises each year and sets up the “Special Fund for Gazelle Enterprise of Zhongkai High-tech Zone”, which aims at promoting technological innovation and strategic development of “Gazelle enterprises”. Meanwhile, Gazelle enterprises enjoy preferential policies in terms of land use right, high-caliber talents settlement, education for employees’ children. The comprehensive indicators system for recognizing a “Gazelle Model Enterprise” includes “enterprise growth, innovation, tax contribution, industry influence, social responsibility, environmental protection, reputation, and safety”. Zhongkai High-tech Zone is implementing the “Gazelle enterprise” incubation program to concentrate quality resources on developing high-growth enterprises for sustainable rapid growth. In the ecosystem of creativity and entrepreneurship fostered by Zhongkai district committee and district government, KTC Huizhou has achieved substantial improvement on growth speed, economic benefit, innovation capability and development potential, and is developing and growing for solid growth by independently innovating, exploring new business models, triggering customers’ new demands, and adhering to personalized & differentiated customization services. As a “Gazelle model enterprise” in Zhongkai High-tech Zone, KTC Huizhou is committed to building its core competency, constantly enhancing innovative development ability, expediting the transformation of intelligent manufacturing, producing higher value-added products, thus to realize product upgrading & reformation and develop toward greater scale and higher level.